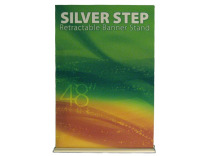 But, what markets are the most likely to be attracted to the economy banner stand? Quite often the need for durability plays a major role in the final product that is selected. 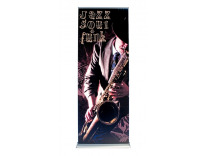 Economy banner stands are most desirable in high traffic situations or in places where the banner stand will be displayed in places the public can see it, and occasionally touchs it or bumps into it. In other words, economy banner stands are often chosen when there is a "durability issue" involved. 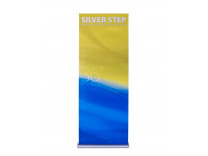 Other typical customers for economy banner stands, are sales organizations which have a large number of reps who are in the public eye and need a product to boost their visibility. 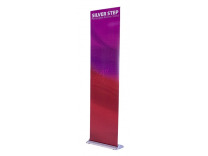 The reason these work so well is because the cost of ownership is so low, therefore, when the sales message changes, it's not a major expense to replace the product if you initially purchased an economy banner stand. 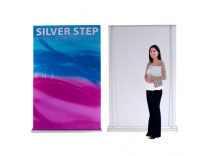 ShopForExhibits, a nationwide retailer of trade show displays, is expanding their internet product offering with exhibit displays in the rapidly expanding tension fabric displays category. In order to support the business expansion which they forecast for the future, SFE has recently gone live with a new web site that provides an enhanced level of customer support in the way of video demos and enhanced product information. Facing uncertain economic challenges, the web based trade show exhibit retailers such as ShopForExhibits, are working diligently to provide not only reasonable price points for their products, but exceptional values in terms of ways of graphically portraying a companies message, to quickly motivate prospects to buy. Accomplishing success in any business climate requires a high level of product knowledge and selling skills in order to profitably bring future generations of exhibit products such as silicone edge graphics, to the trade show exhibiting marketplace.